The 22-year-old identified only as 'A.S.' was arrested in Istanbul following weeks of thorough investigations, Anadolu reports. The suspect was wanted on two arrest warrants for his connection to the attack at the Istanbul nightclub during New Year's eve celebrations. He has been charged with being a member of a terrorist organization, the Daily Sabah reported. Authorities believe he was one of the “planners” of the Reina attack, Sadi Doğan, chief prosecutor in the western Burdur province told Turkish media. Police sources told Anadolu that the suspect was detained while in possession of a rental lease for an apartment where the nightclub shooter – Abdulgadir Masharipov – was arrested last month. 'A.S.' surfaced in the investigation on January 10, just over a week after the massacre at Reina. It is unclear whether France had any intelligence on the suspect’s ties with ISIS, the Daily Sabah reported. Thirty-nine people were killed and 65 others were wounded when the gunman opened fire at the Reina nightclub in Istanbul early on New Year’s Day. On January 16, Masharipov was captured in a police raid in Istanbul’s Esenyurt district. Four other people, including a man of Kyrgyz origin and three women, were detained along with the gunman. The 34-year-old Uzbek-born Masharipov faces life imprisonment as capital punishment was abolished in Turkey in 2004. During his court testimony on Monday, the jihadist even asked for the death penalty, as he declared his desire to kill Christians. “I wanted to stage the attack on Christians in order to exact revenge on them for their acts committed all over the world. My aim was to kill Christians,” Masharipov told the Istanbul court, Hurriyet Daily News reported. 'A.S.' is the latest suspect to have been detained in the ongoing Reina investigation. 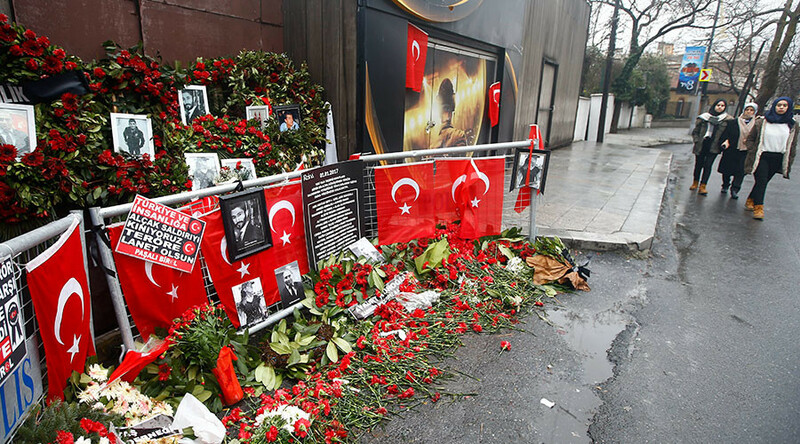 Last week, Turkish authorities detained nine suspects over suspected links to the nightclub shooting.